Shopping for a pet online? Watch out! If you are not careful, you could get scammed. 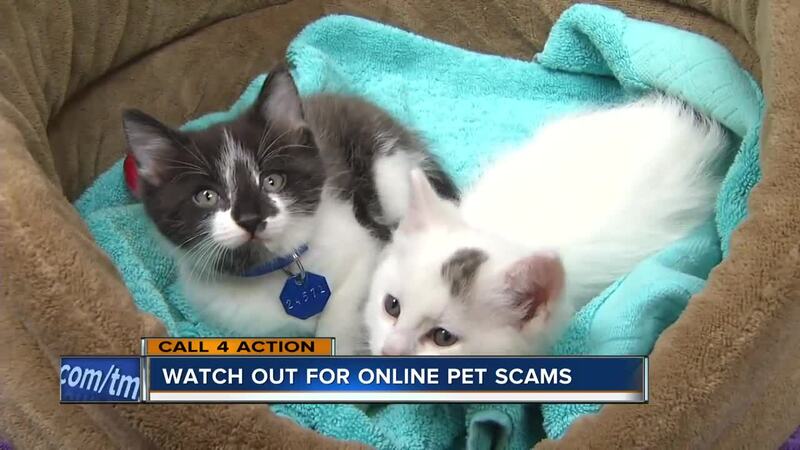 The scammer posts an ad online with details and pictures of an adorable, perfect pet. Sometimes, they tell you that they are giving the pet away for free or at a price that is too good to be true. But, because they are out of state or out of the country, you need to pay up front to cover the cost of the pet and transportation fees. However, after you pay, the scammer contacts you stating that there will be additional costs for documents, special pet carriers, or bogus fees being assessed by an airline. If you tell them you are no longer interested, they will not refund your money and may even threaten legal action. This is what you can do to avoid getting taken: most important, no matter how cute and perfect this pet may seem, check things out before you send money. Watch out for fake pictures, copied graphics, and fake e-mails that a seller may use to trick you in to believing that things are legitimate. Sometimes a seller will even send a fake e-mail that looks like it is from an airline stating that additional funds are needed. Whenever possible, meet the seller and animal in person at a safe location. And, trust your gut instinct. If something does not seem right, do not move forward with the deal. Unfortunately, a lot of these scammers are located outside of the country, making it difficult or impossible to get your money back. But, it is important to report the scam to police and consumer agencies. In addition to warning others, you may get restitution if they catch these criminals.